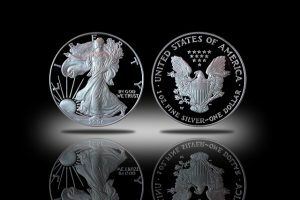 Physical Silver Backed IRA - Is Silver a Better Investment Than Gold? As we all know, gold is fantastic as a store of wealth, valuable and a stable investment that has good growth prospects currently in 2018, as the possibility of trade wars and economic turmoil increase every day. Silver could turn out to be a better investment than even gold, as far as percentage gain over the long run, which is why silver is good for retirement. As the DOW sits perched at all-time highs, above 25,000, how much higher could it really go? It’s upside potential seems limited from here and could actually be the top everyone’s been waiting for. If it proves to be all downhill from here, silver and gold will be standing by to benefit greatly. There has never been a time where these two precious metals have ever been worthless. There’s always been value attached to them. 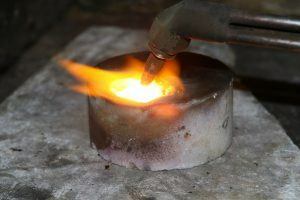 Gold takes center stage, when compared to its sister silver, on the world stage in terms of its usage monetarily. When doing a head-to-head value comparison vs. gold, it becomes evident just how big of an opportunity purchasing silver can be. Back in the year 1792 the United States passed a law that fixed the silver-to-gold price ratio at 15:1. Meaning that with 1 ounce of gold you could have bought 15 ounces of silver. Then some years later, France fixed the ratio to 15.5:1. Fast forward to today and the same silver-to-gold price ratio is totally out of whack. The current price of gold is currently $1,345 per ounce (as of April 17, 2018), while silver is $16.60 an ounce. Which would make the silver-to-gold price ratio of today be a whopping 81:1. If the price of gold had been left unchanged, historically speaking, based on the old 15:1 ratio; today silver should be worth about $90. This difference in value is over 500%. If gold ever shot back up to its record high in 2011 of $1,921 an ounce, based on the 15:1 ratio, silver should then be worth $128 per ounce. That would be a value increase of over 750% using today’s silver price. *Based on these numbers and if history is known for repeating itself, the future could hold a much higher price for silver. Much higher than its 2011 high of $49. 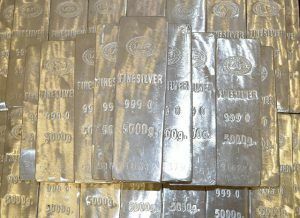 Current general trends, including the fact that there is actually more gold available for investment grade purchasing than there is for silver, are indicative that the future of silver is bright. This is the first time this has happened. Right now there is a global shortage of silver, due to its industrial uses, production and supply are both low, while consumption is up. This of course adds to its monetary value. As technology advances the demand for silver will only grow and will be used even more in products such as laptops, pc’s, tablets, smart phones, batteries, solar and other renewable energy sources. Over the last four or five years or so, as silver prices have come back down, world-class financial advisers & bullion dealers/custodians, such as Regal Assets have been recommending clients consistently add silver to their portfolios. There are many other reasons to be bullish on this asset class as an investment, especially for your retirement. Though not as mainstream as stocks & bonds, as far as retirement funds, investing in precious metals by doing a rollover of part or all of your 401K into a gold or silver IRA for example, is becoming very popular. 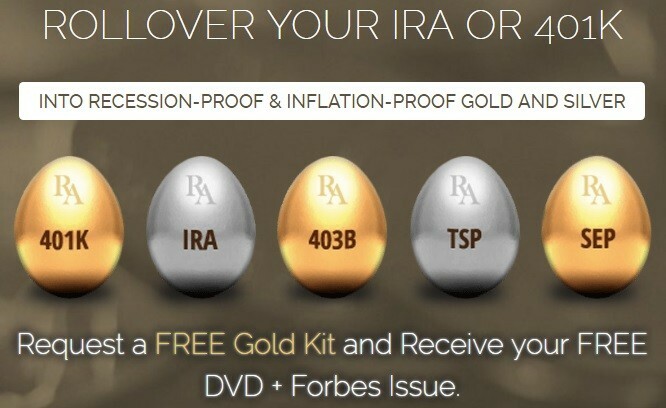 The U.S. government has been allowing investors to perform these gold & silver IRA rollovers through purchases of physical gold and silver from IRA approved dealers & custodians since 1998. Regal Assets (link below) is our top recommendation when it comes to investing in precious metals through your existing retirement accounts, whether it be your 401K, IRA, 403B, TSP, or SEP.
Visit the official website of Regal Assets here. With years of experience they’re able to transfer assets from your current retirement account into physical gold and/or silver within 2-3 business days. There truly may never be an opportunity like the present to invest in silver. Hopefully you’ve picked up some insight regarding the question, is silver a better investment than gold and have come to appreciate the value in both assets. Take action and be one of those that does take advantage of this situation. 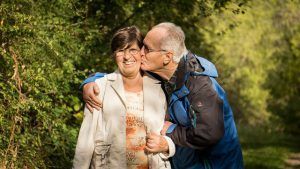 Almost all working class American citizens have a retirement account, however not all are protecting their wealth by having, at a very minimum 5-10%, in a gold or silver backed IRA. So open an account and make sure you’ll have a happy retirement too.